KINGFIELD – In celebration of National Health Center Week, Mt. Abram Regional Health Center will hold a food drive at the front entrance of Tranten’s Market in Kingfield beginning Monday, August 13 and ending Friday, August 17. Staff will be on hand to sponsor a table and donation bin from 3:00 to 5:00 p.m. each day of the drive. Donations of toiletry items and food donations will also be accepted at Mt. Abram Regional Health Center during regular office hours during the week. The food drive will benefit the Health Center’s on-site Food Closet, which patients are encouraged to visit and use anytime the Health Center is open. For many families and individuals in Franklin County, food insecurity is a harsh reality that must be faced 365 days a year. If you would like to support Mt. Abram Regional Health Center’s ongoing effort to keep their food closet stocked, please consider a cash or nonperishable food donation. Tranten’s Market is located at 363 Main Street, in Kingfield. Mt. Abram Regional Health Center is located at 25 Depot Street, in Kingfield. 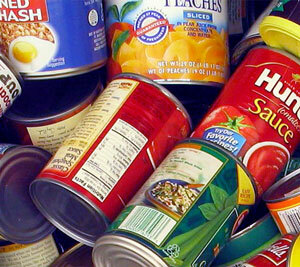 For questions about the Food Drive, please call the Health Center at (207) 265-4555.